Summer Luncheon – Doors Open … Plus! Whew! 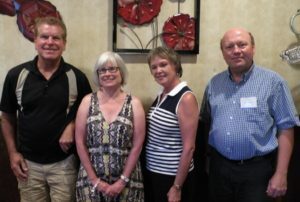 The agenda for the Summer Luncheon (Thursday, July 21st) was packed. So was the room with 73 members enjoying lunch with friends. 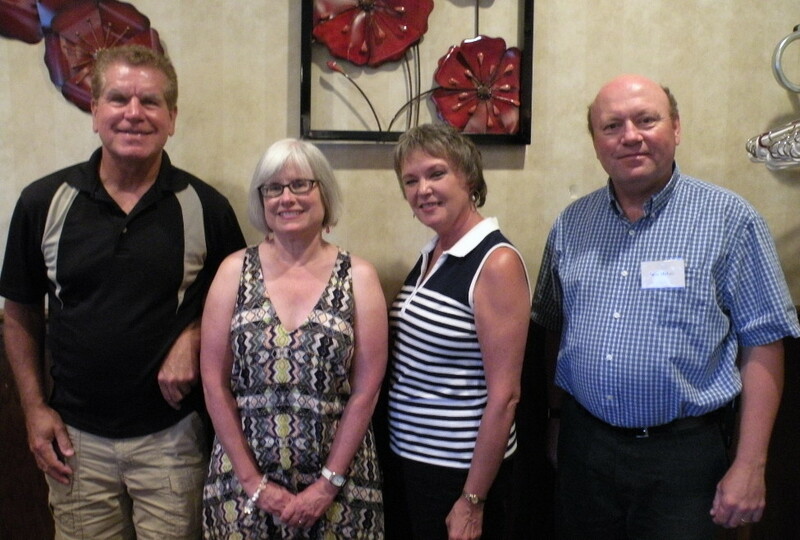 We had four new attendees, Chuck Augustin, Mary Boelk, Linda Rebro, and Steve Michals – welcome to all! 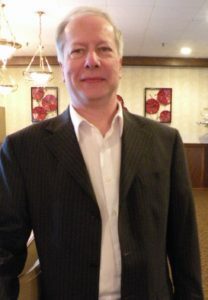 The program began with President Gene Strehlow conducting biennial election of officers, or in this case, re-election. All existing officers offered to re-up and the members present voted their approval. Gene also mentioned the board’s interest in adding new members – that can be done at any time – particularly to extend representation to Corporate and Power Solutions. 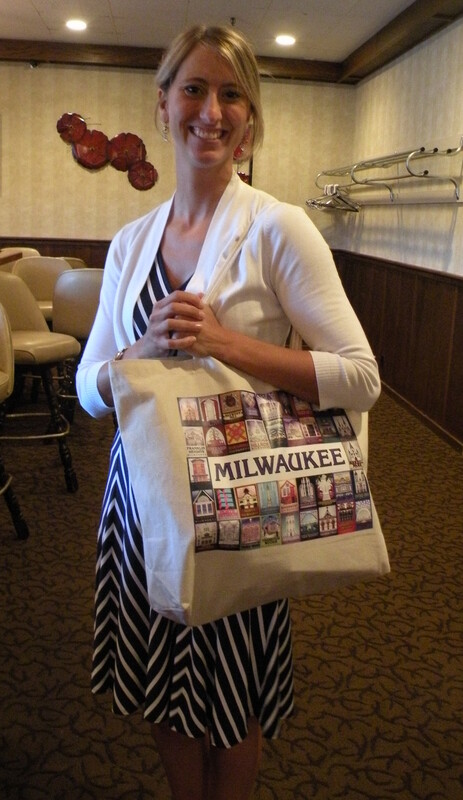 Grace Fuhr, Special Events Director, Program Manager for Doors Open Milwaukee, was our featured speaker. 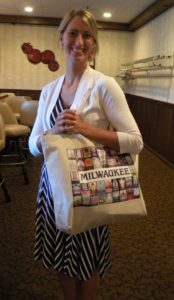 Grace introduced us to several programs created by Historic Milwaukee, Inc – walking tours sounded particularly interesting – and Doors Open Milwaukee to be held September 17th & 18th this year. Doors Open is part of a worldwide movement with particular success right here in Milwaukee, 30,000 participants in 2015 visiting 150 buildings. This year will also include a kayak river tour, kids passport program, and contemporary music at select sites. Ken Wirth, Johnson Controls Historian, (and the source of stories for our Johnson Controls timeline at WSJSociety.com) joined Grace to describe another special offering this year, Open Archives, providing access to historical records on local companies, including Johnson Controls, as supported by Ken. Visit the Historic Milwaukee, Inc and Doors Open Milwaukee websites for more information on events and opportunities to volunteer. Thanks to Grace and Ken for plugging us into this fantastic local event. Gene Strehlow then returned to lead a discussion on the Johnson Controls – Tyco merger. Gene shared news from the morning’s Johnson Controls 3rd Quarter Report and reviewed the information we’ve learned along the way this summer. There was a lively exchange of information on this very important topic. Check Gene’s President’s Message Archive for more information.